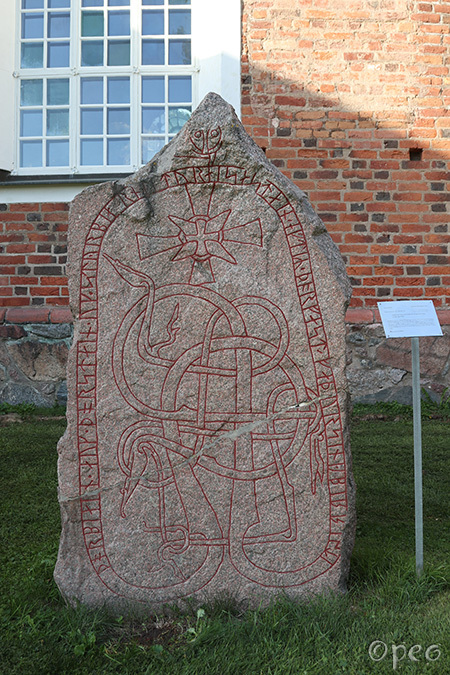 Þorbjôrn and Þorsteinn and Styrbjôrn had the stone raised in memory of Þorfastr, their father. Œpir carved. 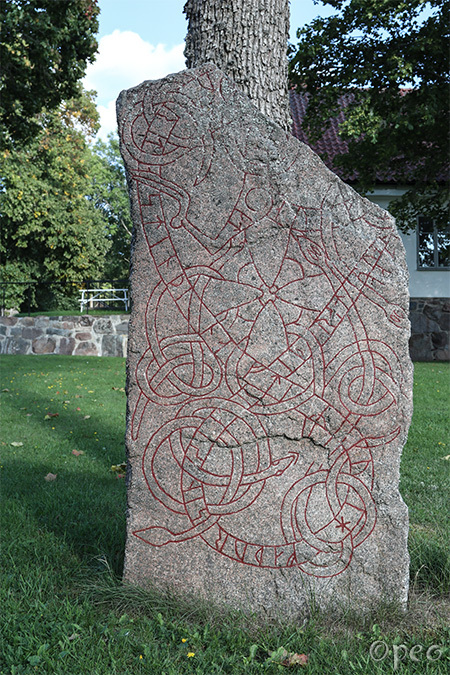 As you can see, this rune stone has been broken and mended. ... and ... had this stone erected in memory of Kvígr, their father; Sigríðr in memory of her husbandman.